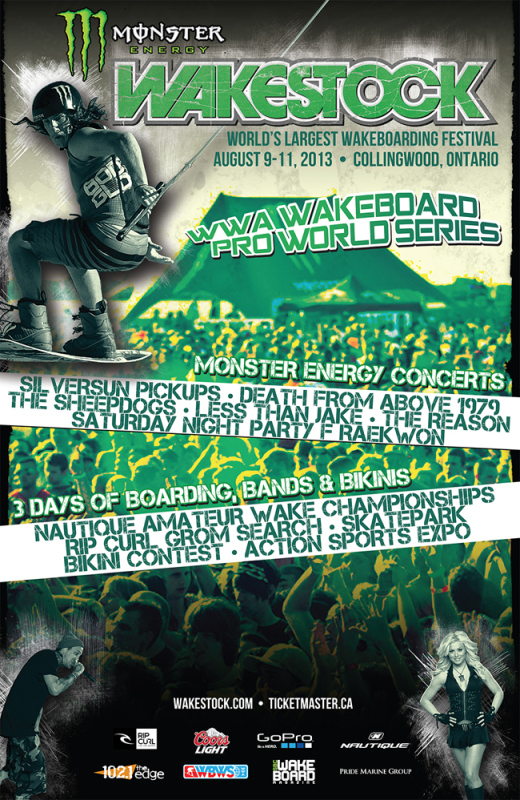 Collingwood, ON Canada (April 2, 2013) – The world’s largest Wakeboard Festival and famed WWA Wakeboard World Series returns to Collingwood, Ontario, Canada August 9-11, 2013 for three days of boarding, bands and bikinis. All of the action takes place at beautiful Millennium Park overlooking the waters of Georgian Bay and Collingwood Harbour in the heart of resort and cottage country. 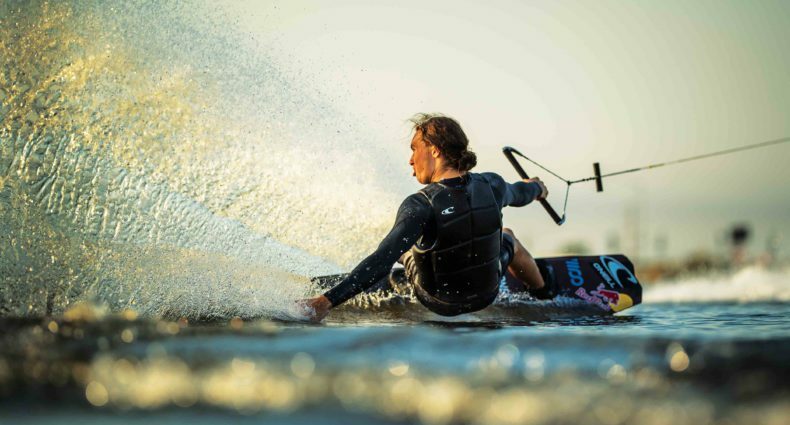 The Monster Energy Wakestock Pro World Series will see reigning Wakestock and World Wakeboard Champion, Harley Clifford of Australia back to defend his title against past Monster Energy Wakestock champions Phil Soven, Aaron Rathy, Bob Soven and the rest of the world’s best pros. As will Canada’s James Balzer the reigning Wakestock Pro Wakeskate champion vs 5-time Wakestock winner Brian Grubb and a field of the biggest names in wakeskating. Click here for more info!